Post World War II America - the Baby Boom generation era, beginning in the mid-1940s and climaxing in the 1960s, stretching into the 1970s - redefined and challenged the traditional American experience. It was an amazing time of great change - the re-industrialization of America, the Korean Conflict, the birth of Television and Rock 'n Roll, Camelot, the Cuban Missile Crisis, the Civil Rights Movement, the British Invasion, the Cold War, Vietnam, the Summer of Love, Woodstock, the Moon Landing, Watergate, Computers and the birth of Apple and Microsoft. Yet this era of sweeping change brought unparalleled stability for average Americans - jobs, careers, businesses, automobiles, birthing babies and raising families, childhood, toys, family gatherings, cookouts, picnics, holidays, vacations, schools, sporting events, weddings and funerals - life and living. 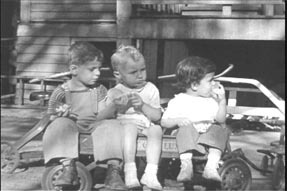 What is even more amazing is that all across the country, Americans captured these precious moments as they happened on 8mm and 16mm motion picture film - the Greatest Generation, the parents of the Baby Boomers, documented this "Coming of Age" period in American history. This is the context and cinematic canvas for The Great American Home Movie - a feature-length documentary shot by parents, grandparents, aunts and uncles, and yes, even their children. Over the past twenty years, Producer/Director/Editor Robert Hanley has been evaluating, capturing and archiving America's home movies. Culled from over 5,000 hours of 8mm, Super-8mm, and 16mm film, The Great American Home Movie engages and electrifies the viewer, first in the simplicity of its subject matter and then in the poetry of moving images - Dad grilling hamburgers on the back porch for the family's 4th of July cookout; Betty unwrapping her brand new Barbie Doll on Christmas morning; Billy riding his first Schwinn bike down a gravel road, fishing pole over his shoulder; Baby Karen taking her first steps; and Corporal Johnson, home from the war, washing his brand new Chevy. Added to these iconic images is our American landscape - small towns, big cities, suburbs, farms, schools, roads and highways; city parks, national parks, zoos, and monuments. These scenes, and thousands of others, comprise the single, constant theme that ties The Great American Home Movie together: the American experience. Multiply these iconic images by the more than thirty-year chronological time-span of this documentary and the very ordinary becomes truly extraordinary! Hanley has rescued, edited, and woven together these incredible, priceless images with real live accounts of those days by the Americans who lived it. Everything is set to a lush musical score by Composer/Songwriter Steve Dorff. The Great American Home Movie Project is a Trademark of The Great American Home Movie, LLC. 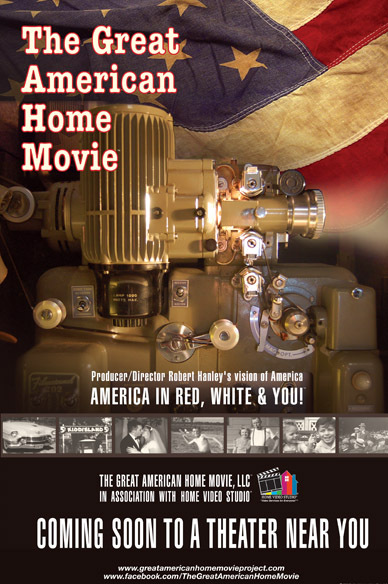 America in Red, White and You is a Trademark of The Great American Home Movie, LLC. 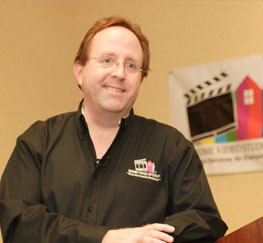 Robert Hanley is an American Producer/Director/Editor and Entrepreneur who has turned his love for film and video into America's leading and fastest growing video production and post-production services franchise: Home Video Studio. Today there are 73 Home Video Studios located in the United States, Canada and Sweden. Currently Hanley is working on his second feature film: The Great American Home Movie - a compelling documentary which tells the story of America's "coming of age period" 1946 to 1976. 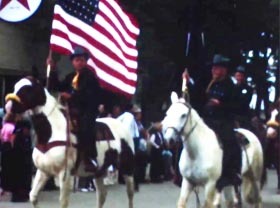 The movie draws its content from over 5,000 hours of 8mm, Super-8mm and 16mm motion picture film shot by Americans as they lived their lives during this time period. The movie also will include a score by award-winning composer/songwriter Steve Dorff. 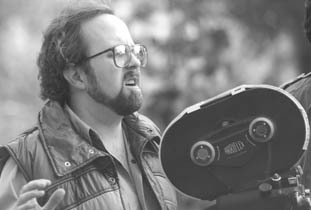 Before founding Home Video Studio, Robert was best known as a film and video Producer/Director/Editor. Hanley's interest in filmmaking goes back to his college days. While taking film classes at Danville Community College in the mid-1970s, Robert shared an experience many film enthusiasts remember: seeing George Lucas's Star Wars in a packed theatre. After viewing that watershed sci-fi movie he decided to become a motion picture director. Robert attended Southern Illinois University, but after one semester the "lure of Hollywood" was too much to ignore so he dropped out and headed to LA. While the allure of Tinseltown was strong the love of a good woman was stronger and Robert returned to his small town roots where he married a beautiful Purdue coed - Denise Fitzgerald - in 1982. Robert's dreams were sidetracked for four years while he dabbled in the fast food business - owning and running a 50s' style drive-in restaurant (possibly another Lucas inspiration?) before he broke in to the film business. Hanley produced his first 16mm film Our Goal Is In Sight, a 23 minute documentary for the Indiana Lions Club Eye Bank in 1982. 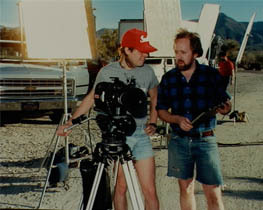 With the success of his first major project, Robert started his own film production company and moved from his small hometown to Indianapolis. As a full-time professional filmmaker, Robert produced local and national TV commercials, corporate image films and videos and a host of other similar projects for companies as well as advertising agencies. In 1989, he wrote, produced, shot, directed and edited his first independent feature film: Good Cop, Bad Cop. Even with his lengthy list of successful projects, Robert became the quintessential "starving artist." So, in 1991, Robert decided to do what so many successful entrepreneurs do: he reinvented himself. Taking the knowledge and experience he had gained he retooled his production business into what it is today - the most successful video production and post-production franchise in the country: Home Video Studio. This new company, now seventy-three studios strong, created a cottage industry by focusing on transferring old 8mm, Super 8mm and 16mm films - people's home movies. Back in the early 90s when Robert was just beginning to transfer these home movies to videotape, he was just enamored with the scenes of Americana that flashed by on his TV screen daily: marching bands, mom and dad barbecuing in the backyard, kids on old bikes, dance recitals, funny scenes at picnics, New York City in the 1940s and virtually every other city in America, a bride and groom in Alabama, etc. - just fascinating stuff which reoccurred in every state in every year in every way. Seeing this endless variety of activity one thought was always constant: "If only these images could be archived and someday be put on the silver screen for all to see." Today, far removed from those early days of transferring 8mm and 16mm on his own, Hanley now owns the premier film transfer facility in the country. His skilled staff of professionals transfer film from all over the United States 24-hours-a-day. These vintage films (8mm, Super-8mm and 16mm) date from the 1930s to the 1980's. Hanley secures the rights to 50% of the film transferred and now owns the biggest content library of home movies on the planet - over 5000 hours of Americana. Things have come full circle. Hanley is once again producing, directing and editing a feature-length film: The Great American Home Movie - A film about America coming of age; shot by Americans and starring Americans. We are searching for people who lived in the United States between 1946 and 1976 and who are at least 40 years of age. A vital part of The Great American Home Movie will be interviews with Americans who lived during this time - the Golden Age of Home Movies. We are especially interested in people who took home movies and/or 35mm slides, or were the subject of those movies and pictures. If you remember Mom and Dad getting out the movie camera (or you were Mom and Dad) then we want to hear from you! The Great American Home Movie will highlight Americaï¿½s ï¿½Coming of Ageï¿½ period. We want to hear about your experiences during this time: the Cold War, the Korean Conflict, the birth of Television and Rock ï¿½n Roll, Camelot, the Cuban Missile Crisis, the Civil Rights Movement, the British Invasion, Vietnam, the Summer of Love, Woodstock, the Moon Landing, Watergate, computers and the birth of Apple and Microsoft. What an era of sweeping change - yet unparalleled stability for average Americans! It was a revolution in jobs, careers, businesses, automobiles, birthing babies, raising families, childhood, toys, family gatherings, cookouts, picnics, holidays, vacations, schools, sporting events, weddings and funerals ï¿½ life and living. What was your part in the revolution during this Golden Age of Home Movies? We are holding casting calls at various locations around America. You can also audition via Skype or Facetime. Please email us at robert@greatamericanhomemovieproject.com for details on how to audition for this movie. 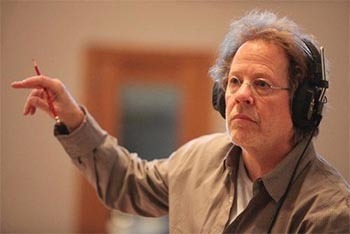 With a musical resume as diverse as the American landscape, Steve Dorff is the perfect composer for The Great American Home Movie. Industry observers have dubbed multiple award-winning Steve Dorff an enigma who has evolved into a gifted composer in every musical field. There is no way to capture the diversity he regularly displays scoring major motion pictures, television, theater, or via an array of #1 hit songs. In addition to winning the NSAI Songwriter of the Year award, Dorff has also been honored with more than forty BMI and eleven Billboard #1 awards. His was a formidable breakthrough, accelerated through a highly productive association with the legendary Clint Eastwood, beginning with "Every Which Way But Loose." This out-of-the-box smash soon paved the way for a raft of compositions reflecting all musical genres from contemporary sounds to haunting orchestral melodies. Three-time Grammy nominee and a fixture on the nation's charts, his dossier includes nine #1 film songs and fifteen Top 10 hits, including the Kenny Rogers' classic "Through The Years," a BMI 3 million performance song, as well as "I Just Fall In Love Again," the Anne Murray record that captured Billboard's #1 Song Of The Year honors.